Nestled in the stunning Hocking Hills, just a few miles from Old Man's Cave and other natural attractions, Creeks Crossing Cabins offers solo travelers, couples, and families with a truly unforgettable vacation experience. Surrounded by beautiful woodlands and unspoiled natural scenery, you will find their three charming cabins and array of excellent amenities that include jacuzzi tubs, outdoor barbecues, fully-equipped kitchen, and air conditioning and heating. Whenever you're ready to leave the comfort of your home-away-from-home, venture outdoors and explore the incredible location. Countless of hiking trails, rock climbing adventures, and fishing at nearby lakes are all available. Popular local attractions such as Conkle's Hollow, Cedar Falls, Ash Cave, and Rock House are minutes away! Ohio's beautiful Hocking Hills area is a family destination that offers plenty of outdoor activities for everyone. Enjoy the beautiful scenery on a horseback ride, hike down to Old Man's Cave, or admire the recess cave walls at Ash Cave. Creeks Crossing Cabins are located just a few minutes away from all these amazing sights and you're sure to have a great time exploring them together with your loved ones! Your new family reunion destination awaits at Creeks Crossing Cabins. Their three well-equipped cabins feature everything you need to spend quality time with your loved ones. The Cabin at The Preserve, for instance, sleeps up to 12 people and has a pool table, foosball, air hockey, and a multi-game table. Take advantage of the outdoor grill and enjoy a delicious barbecue together. A bonfire makes the end of the day magical. Make some s'mores and share your favorite family stories! When you stay at Creeks Crossing Cabins, you're only a few miles from the Hocking Hills State Park! Whether you're here on a family vacation, a romantic getaway or with your friends, create your own outdoor adventure. Enjoy the beauty of Ohio and go hiking, fishing, canoeing, rappelling, or hunting. Admire plenty of wildlife everywhere you go. Deer, wild turkey, plenty of birds, and other forest animals populate the woods and are waiting for you! Whether you bring your own boat or rent one onsite, Lake Logan State Park offers one of the best fishing experiences in Ohio. 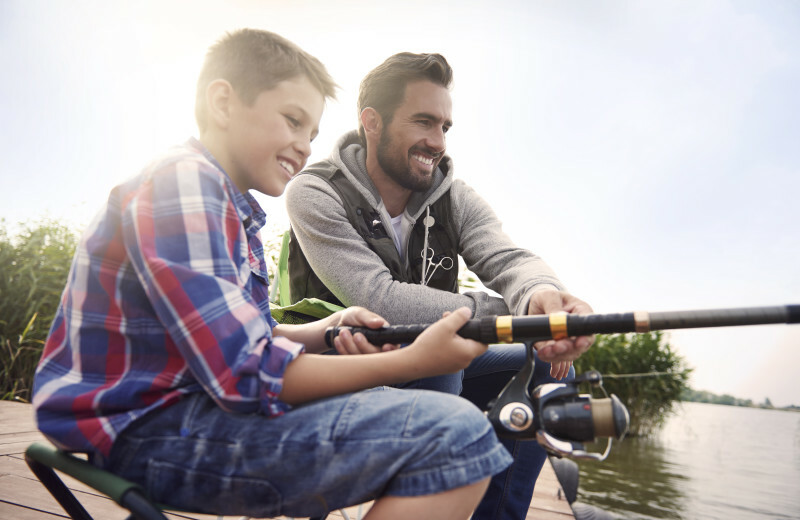 Your Creeks Crossing Cabins retreat is located just minutes away from countless fishing adventures; cast your line with your fishing buddies or teach your kids how to catch some northern pike, bass, bluegill, crappie, catfish, and more! Whether yours is a new love or one that has stood the test of time, you and your special someone can enjoy a romantic cabin getaway on Ohio's Hocking Hills. Creeks Crossing Cabins features three cozy and well-equipped love nests just for you. Unwind in the Jacuzzi tub as you sip a glass of wine with your sweetheart and bask in the magnificent views! Next time you're planning a getaway to the Hocking Hills, you don't have to worry about leaving anyone behind. Creeks Crossing Cabins features a pet-friendly option--The Cabin at Elkin's Pass. 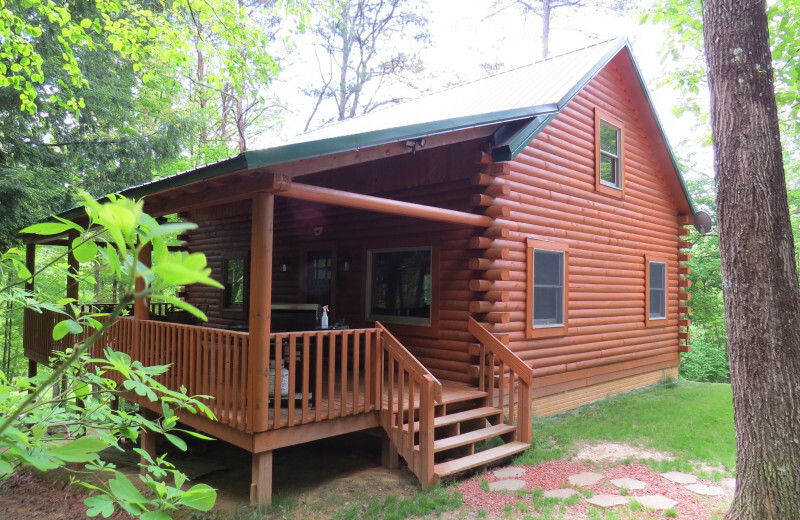 This cozy cabin allows Fido to join the rest of the family and explore the Tar Hollow State Park and other natural attractions nearby! Old-growth hand-peeled logs harvested from Canada, fully-equipped kitchens, air conditioning and heating, Jacuzzi tub for two and other excellent amenities make Creeks Crossing Cabins the perfect Hocking Hills luxury retreat. Whether you're here with your sweetheart, your family, or friends, you're guaranteed to feel right at home! Creeks Crossing Cabins offers you three beautiful and well-equipped cabins nestled in the Hocking Hills. 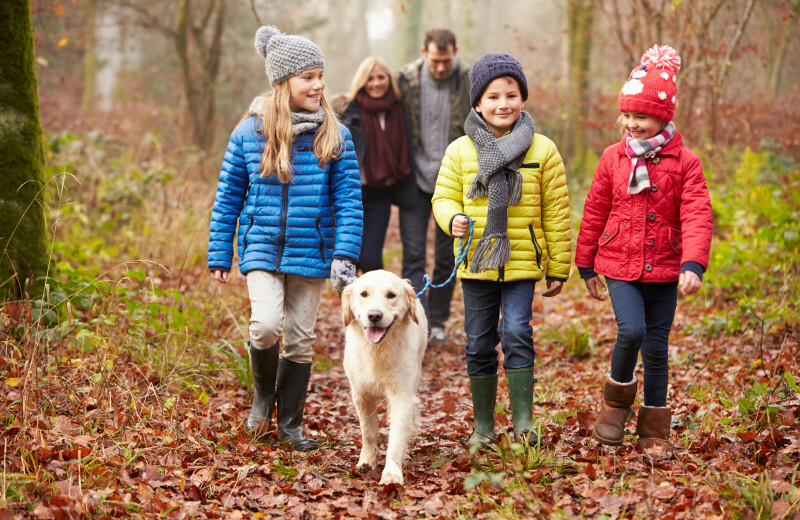 Whether you're looking for the perfect retreat for your family vacation, romantic getaway or event, The Cabin at The Preserve, The Cabin at Elkin's Pass, and Creekside Cabin have everything you need. Indulge in fully-equipped kitchens, Jacuzzi tubs, playroom, outdoor grill and more! No matter your preference, you're situated near nature preserves like the Old Man’s Cave and Conkle's Hollow. Discover the natural wonders of the Hocking Hills and enjoy your time away! This property is ranked number 5 on Top Hocking Hills Vacation Rentals. Read about it here.